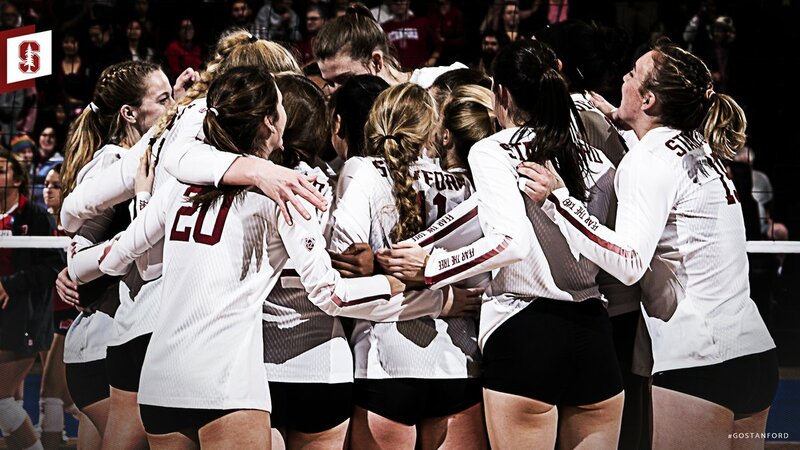 The American Volleyball Coaches’ Association (AVCA) has released their 2018 NCAA Division I Women’s pre-season poll, and in a battle between the last two NCAA Champions, the 2016 champion Stanford Cardinal have received 43 of a possible 64 1st-place votes to rank #1, while the 2017 champion Nebraska Cornhuskers are ranked 2nd with 20 1st place votes. The only other 1st place vote went to Florida, who are ranked #7 overall. Picking the 2016 champions over the 2017 champions might seem strange, until one considers that the winning 2016 Stanford team was the youngest ever to win an NCAA title. In fact, they will have as many starters from their 2016 NCAA Championship team (Jenna Gray, Kathryn Plummer, Audriana Fitzmorris) on their 2018 roster as Nebraska will from its 2017 championship team (Melissa Foecke, Jazz Sweet, Lauren Stivrins). Nebraska’s ace-in-the-hole is incoming transfer Lexi Sun, who was an All-Big 12 player last season as a freshman at Texas, and is of the quality of a returning player, even though she technically is not. The top 12 teams in the AVCA poll all advanced to at least the Sweet 16 of last year’s NCAA tournament. Creighton, who lost to Michigan State 3-1 in the 2nd round of the tournament, are the top non-Sweet 16 team in the poll at 13th overall. Michigan State, the team that beat them (and eventually advanced to the Elite 8), is conversely only 22nd in the ranking, which is the second-lowest among all Sweet 16 teams last year. After graduating all starters besides libero Jayme Cox, though, the Spartans will be in a rebuilding year. Also notable, the defending ACC Champions from Pitt are ranked for the first time since 1982, starting the season at #20. Below is the AVCA pre-season coaches’ poll, and below that, we’ve laid out a comparison table to our early-June “Way too Early” coaches’ poll. We’ll be releasing our official pre-season power rankings on Monday, and it looks quite-a-bit different from the AVCA poll. 11 teams mentioned on only one ballot for a total of 39 combined points.